Ethel Verna Felder Hector obituary. Carnes Funeral Home. Jun 17, 2012 The Carnes Funeral Home Staff offers our sincerest condolences to the entire Hector family. It was our honor to serve your family. Ethel Verna Felder Hector was born January 31, 1930 in Somerville Texas to the late Ed Lee and Hattie Felder. She attended Emmitt J Scott High School. She received Christ at an early age and was baptized. She and Leroy Hector were married and raised their family. She retired from UTMB as a housekeeper. 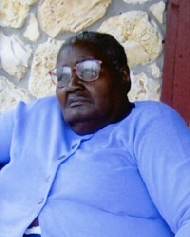 Ethel passed away March 1, 2012 at the home of her daughter Delores. She is preceded in death by her parents; her husband, Leroy Hector; a longtime friend, Samuel Arthur; brothers, Layer, Horace, JC, John, Lawrence, Raymond, Clarence; grandson, Bryan Harper. She is survived by her children, Alice (Greg) Stowe, Carolyn Mills, Alma Hector, Barbara Hector, Dolores (Jackie) Ross, Hattie Felder, Eddie (Mary) Hector, James Hector, DeWayne Hector, Marvin Hector; foster children, Timothy Humphrey and Felicia Jordan; brother, Robert Felder; cousins, Verna Tyler, Helen and Andrew Gordon; 23 grandchildren; 25 great grand children and a host of nieces, nephews and other relatives and friends. A Public Visitation will be held Saturday, March 10, 2012 at 9:00 AM followed by Funeral Services at 11:00 AM. Both services will be held at Carnes Funeral Home Chapel 3100 Gulf Freeway Texas City, TX 77591. Burial will immediately follow in Somerville, TX. Memorial may be sent to the Carnes Funeral Home.